Our city has one of the richest cultural histories in the United States. 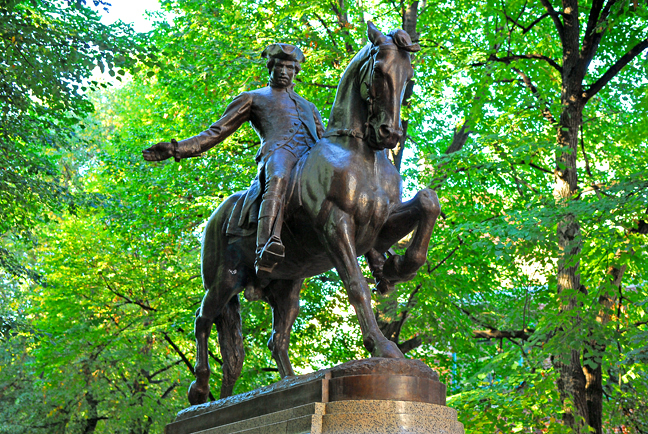 Countless influential personalities have called Boston home over the centuries. 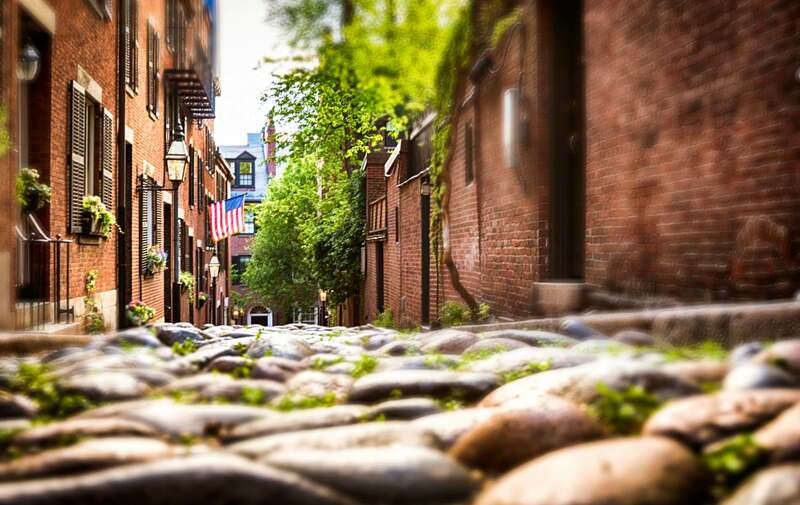 Many of these historic sites are a short distance of our Boston bed and breakfast. The staff at the Clarendon Square recommends putting aside a few hours to visit at least one or two of these captivating monuments to the past. 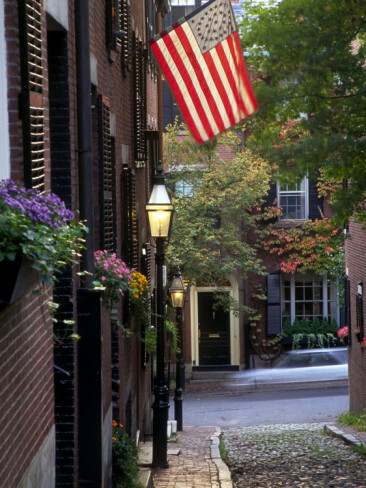 Experience a trip back in American history by touring any of these Boston homes this summer! This North Square townhouse is downtown Boston’s oldest building, and ninety percent of the structure of this historic home is original. Built around 1680, the home was purchased by Paul Revere just five years before his famous ride. Repurchased by a descendant of Paul Revere in 1902 after changing hands of ownership for many years, the property has since been restored to accurately resemble its original appearance. Originally built in 1759, this historic Cambridge home served as George Washington’s personal headquarters during the siege of Boston in the Revolutionary War. In 1843, this historic home was bought by the father-in-law of Henry Wadsworth Longfellow as a wedding gift for Longfellow and his new bride. The home and its possessions were carefully preserved by Longfellow’s descendants over the years, and guided tours of this historic home are available in the summer. The birthplace of President John F. Kennedy in Brookline was personally restored by his mother Rose in the late 1960s. Many of the former president’s personal belongings from his younger years are viewable in the nursery, including his original christening gown! Now a National Historic Site, there are ranger-led tours of the home during the summer but the property is open to the public year round. The Nichols house is one of the oldest structures on Beacon Hill. Constructed in 1804, the house has been adapted into a museum depicting the domestic life of a typical Beacon Hill family during the early 1800s. Those with artistic interests will love the beautiful antiques and rare possessions such as Flemish tapestries and ancestral portraits filling the rooms of this historic home. The Gibson House of Boston’s Back Bay was built in 1859-1860, and declared a National Historic Site in 2001. The Gibson family’s original furniture and personal possessions allow visitors to get a true insight of the life and times of a wealthy Boston family during the late 1800s. Located on Beacon Street, the Gibson House is open year-round for guided tours. Located in Concord, about 30 minutes outside of Boston, this historic home stood witness to the beginnings of the American Revolution and has influenced the lives of many writers. Originally built in 1770 by Reverend William Emerson, the grandfather of the writer Ralph Waldo Emerson, the home is now a museum that can be toured by the public. Ralph Waldo Emerson was not the only writer to have occupied this historic home. In the mid 1800s, Nathaniel Hawthorne and his wife rented the home for three years. During that time, Henry David Thoreau sowed a vegetable garden at the Old Manse as a wedding gift to the Hawthornes. A recreation of that garden exists in the same location. 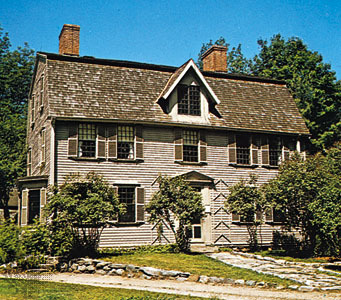 Orchard House, also in Concord, is the birthplace of author Louisa May Alcott. Built in the early 1700s, The Orchard House serves as the setting for her celebrated novel Little Women. No major structural changes have been made since the Alcott residency, and nearly three quarters of the current furnishings are original family-owned pieces. This entry was posted in Uncategorized and tagged beacon hill, Boston historic homes, JFK House, Longfellow House, north end, Paul Revere house, things to do in Boston by admin. Bookmark the permalink.